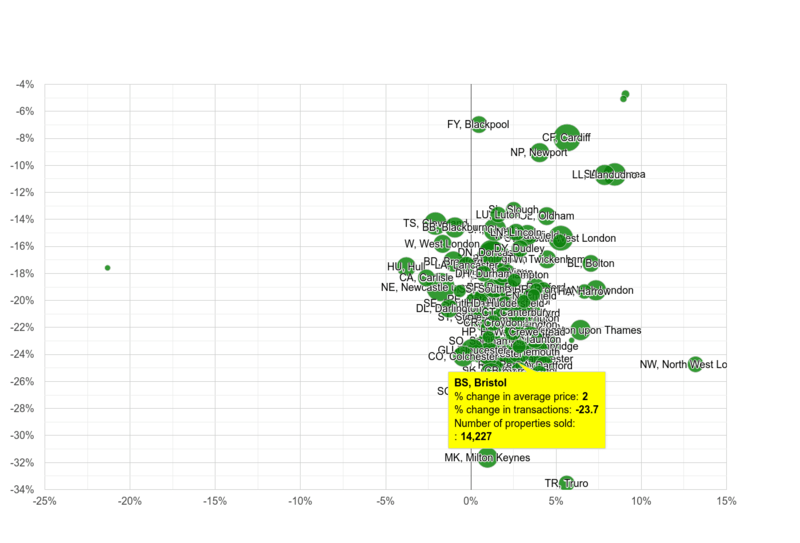 Bristol property sales volumes in maps and graphs. 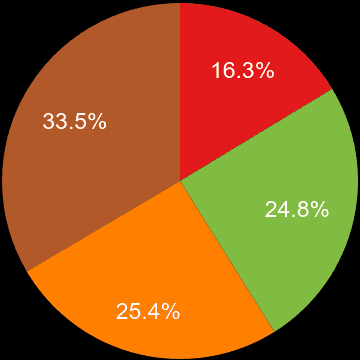 shows a number of properties sold in a given price range between March 2018 - February 2019. Most properties were sold in the £200k-£250k price range with 3799 properties sold, followed by £300k-£400k price range with 3254 properties sold.